A hungry snake is on the loose and after his supper. Luckily Patrick manages to avoid the danger and escape. 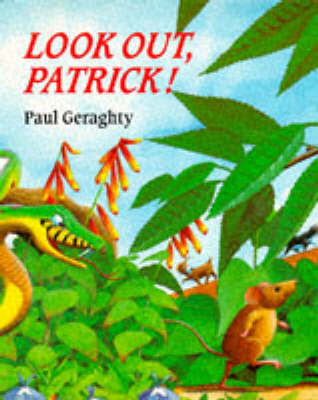 In fact, Parick manages to avoid all the dangers and the strangest thing is, he never knows he was under threat. The author also wrote Over the Steamy Swamp and The Bungle in the Jungle.